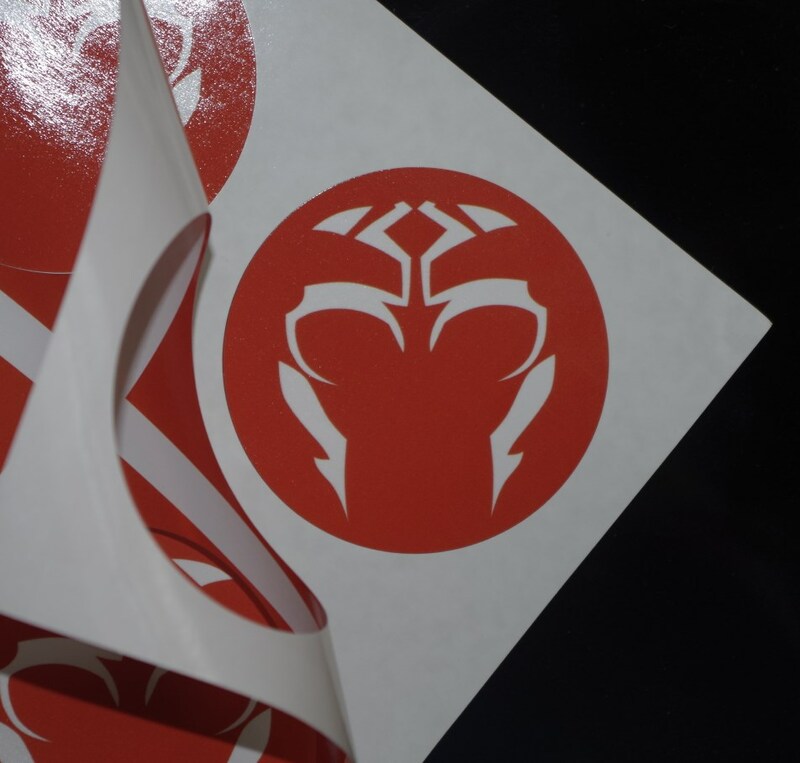 A certain provider of custom stickers abruptly cancelled an order of mine commissioning a certain design (featuring the face paint of Ahsoka Tano, former Jedi) I'd found online. The abruptness of the cancellation was too swift to be by a humanoid hand. This indicated to me that, akin to YouTube identifying and acting upon what some computer algorithm determines to be proprietary video, the scrutinized the original image and flagged it as copyrighted material. Completely understandable, but mildly irritating. I decided to test the algorithm's limitations. 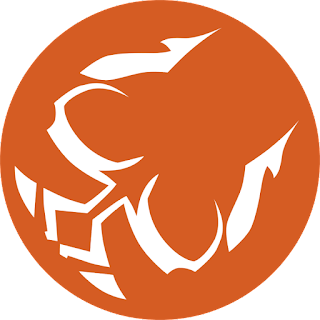 This was the result; an image meant for a round sticker, but rotated some 120 degrees counter-clockwise, and the background color changed just a few shades more toward the red. "Falling Skull", slightly modified face paint for the Ahsoka Tano character in Star Wars: Rebels. Arrived without incident, no copyright strike, no hassle. 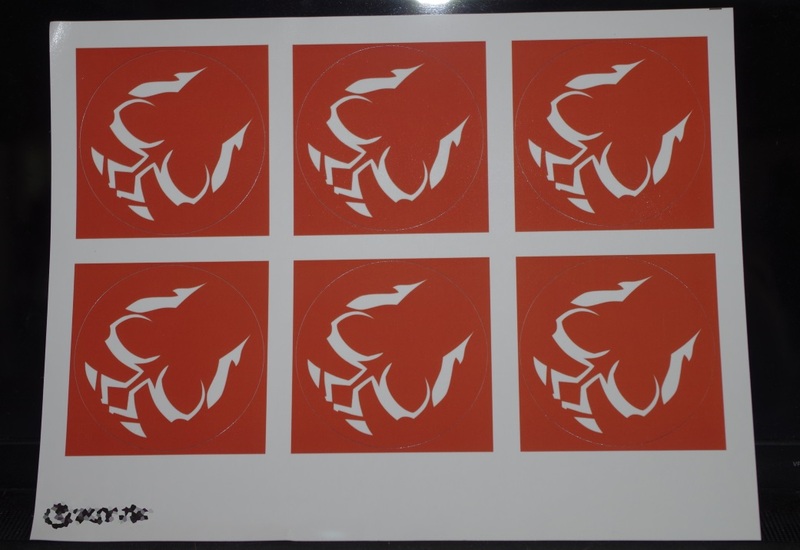 To make their application as car decals easier and less permanent, I obtained some vinyl magnetic sheeting and applied each of the stickers to it. I then used some spray enamel clear coat (normally for helping keep the surface of plastic car headlight lenses clear) and evenly sprayed a few coats across the sheet and allowed it to dry overnight. The following day I carefully cut out one sticker-slash-magnet with an extremely sharp X-Acto knife. 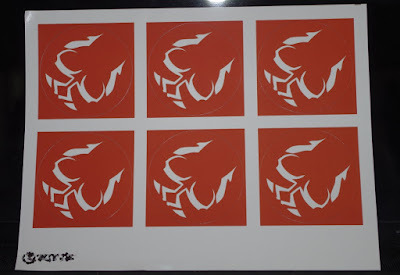 Oh, custom sticker manufacturer, I'm afraid your algorithm won't prevent me from fulfilling the true destiny of this design, as a #TanoTuesday-suitable magnetic car decal! 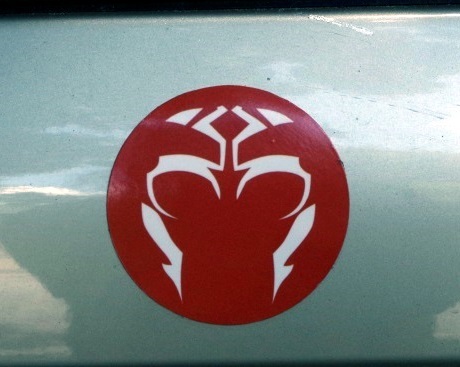 One might wonder, why is a Sith so intrigued by a former Jedi, that they would adorn their vehicle with her iconic imagery? Well, once, this particular Togruta knew full well the power of the Dark side. It may, yet, happen again, and with permanence... this time!